THE final bows. 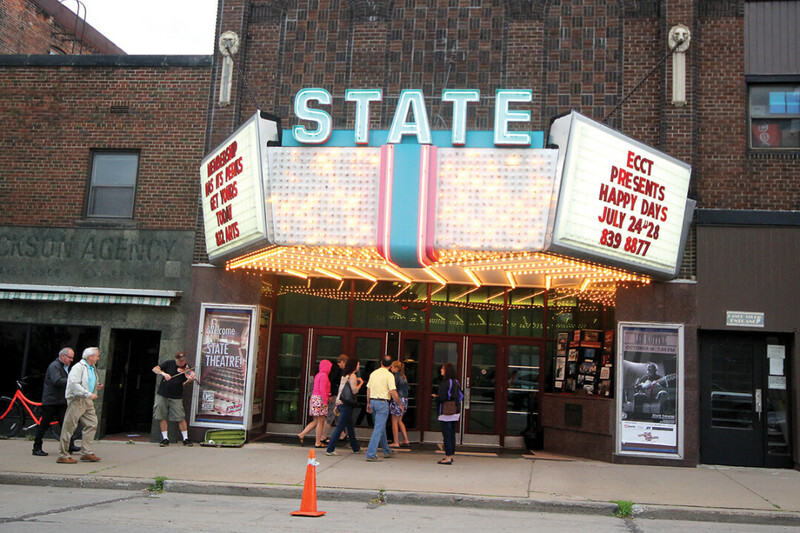 Eau Claire’s State Theatre is nearing the end of its final season this summer. The last Chippewa Valley Theatre Guild production there will be State Fair, which premiers June 28. The final Chippewa Valley Theatre Guild performance at the State Theatre – Rodgers and Hammerstein’s State Fair – will debut June 28 and run through July 1. There are more than 50 people working on this production, including many who came back for the opportunity to work the guild’s last show at the State Theatre. While nostalgic for the State Theatre and 30 years of CVTG performances there, the group is looking forward to future performances at the Pablo Center at the Confluence, which opens this fall. The guild was formed on May 19, 1981, when 50 local people showed up at the Eau Claire Parks and Rec building and raised $60 from passing a hat to launch a theater guild. Initially the group put on performances in the old Central Junior High Auditorium (now the Eau Claire School District administration building), and then in the North High School Auditorium. Due to tremendous growth, a need for additional space arose and the group put on its first performance at the State Theatre – Rodgers and Hammerstein’s Cinderella – on April 28, 1988. Members of the group were instrumental in restoring the State Theatre, which had previously been a vaudeville theater and then a movie theater. The theater was closed for nearly a decade prior to its acquisition by the Eau Claire Regional Arts Council and use by the CVTG. Bob Carr, a founding member of the CVTG and voiceover performer for State Fair, said getting the State Theatre ready for CVTG performances 30 years ago was a treat for any theater person. He remembers working hard and fundraising to restore the theater to the working space it is now, but he also really enjoyed exploring the old theater and uncovering Eau Claire theater relics and history during the process.